Pictured are (L-R): Playwokers Claire Gracie and Tom Bowes, nursery nurse Kerry Swanick and Bright Kids Crabbs Cross nursery manager Anita Shepherd. Here at Bright Kids we’re starting the new year with a health kick after signing up to a county-wide well-being initiative. Staff at all of our settings in Crabbs Cross, Studley and Northfield are working towards improving their health and well-being in a bid to achieve Worcestershire Works Well accreditation. 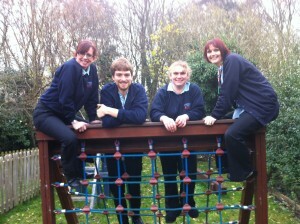 The accolade will be the latest in a long line of awards which highlights Bright Kids’ commitment to its employees. 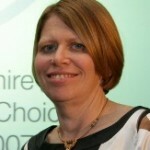 Chief Executive, Tricia Wellings, said: “We are delighted to be part of such a worthy scheme. The health and well-being of our employees is of paramount importance at Bright Kids. It is particularly important in a childcare setting because happy, healthy, well-cared for staff means happy, healthy, well-cared for children. “Evidence suggests that a healthier workforce is a more productive workforce and effective health and well-being programmes within the workplace lead to improved productivity, reduced sickness rates and a more motivated workforce. The Worcestershire Works Well toolkit has been developed as part of the Worcestershire Works Well initiative, which is a partnership between the private, public and voluntary sector. It aims to coordinate and support improvements to employee health and well-being across the county. Members of the group include NHS Worcestershire Public Health, Hereford and Worcestershire Chamber of Commerce, Worcestershire Regulatory Services, Wellness Works, Sports Partnership Hereford and Worcestershire, Job Centre Plus and the Department of Health. The Worcestershire Works Well initiative consists of nine standards in promoting good health, smoking and tobacco control, healthy eating, health and safety, mental health and well-being, physical activity, alcohol and substance misuse, attendance management and leadership. Organisations that meet the standards will achieve Worcestershire Works Well Accreditation, demonstrating their commitment to employee health and well-being.